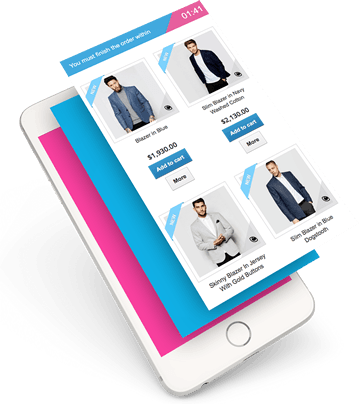 SOO Cart Expiration - a wonderful Prestashop module allows you to configure an expiration time for your baskets that will be emptied automatically after a specific time in order to avoid the problem of stock unavailable. A beautiful message appears and starts the countdown as soon as your customers add the first product into the shopping cart. If the time expires before customer completes his purchase all products get automatically removed from the shopping cart. When the customer proceeds to the checkout page the module automatically adds some extra time to the countdown. 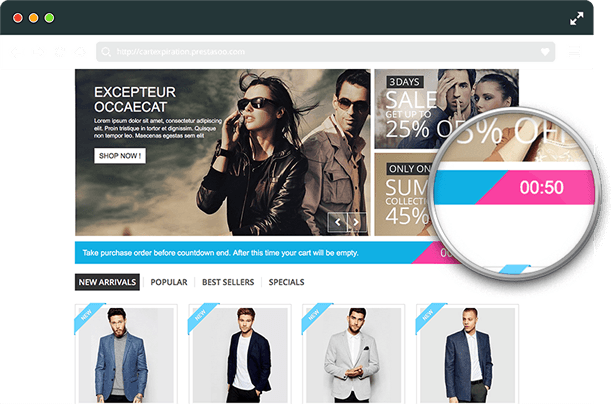 v.2.3.0 :Compatible with Prestashop 1.7, User experience improved, translated into English, Français, Español, Italian, Deutsch, Polski. Once the module is installed the Prestashop carts will be emptied automatically after the time setted up in your administration panel.